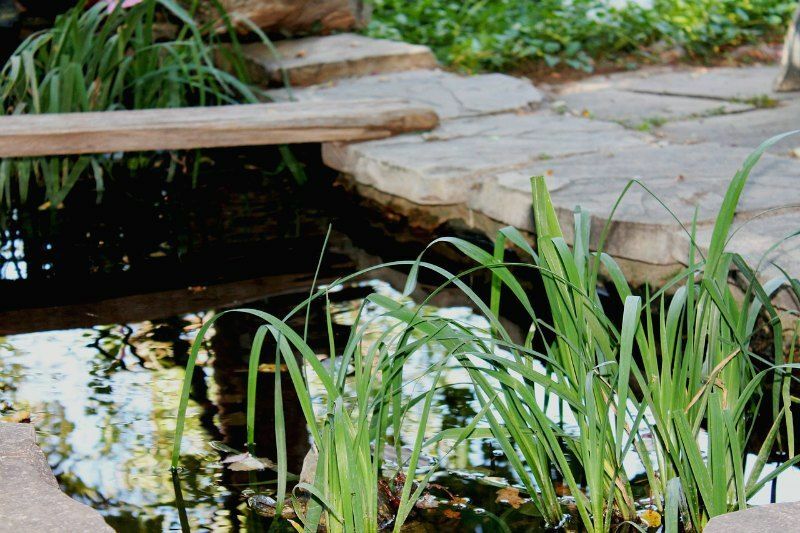 How to Build a Backyard Pond: Several measurements affect the size and health of your pond – the width, the length, and the depth. These measurements control the number of fish and plants you can add to your pond and keep it healthy. The number of fish you can safely keep in a pond is determined by the surface area of the pond. The width times the length determines the surface area. The depth of your pond will determine how much winter (and in hot regions, summer) work your pond will require from you to keep it healthy and should be considered if you are in an area where pond predators (herons, raccoons, opossum, etc.) may be a problem. A water garden does not require a level bottom and can be built with varying depths. A deeper pond allows your fish to escape from predators more easily and may deter some predators completely. The width becomes important when choosing plants such as lilies, some of which have a very wide spread. Larger ponds hold a consistent temperature more easily. It is a good idea to lay out a garden hose or piece of rope and figure out how much of your garden space you would like to devote to the pond. This also allows you to experiment with various shapes. You should experiment with different sizes and shapes, and plan for the largest excavation your gardens can accommodate. A water garden which will house fish should be a minimum of 2 feet deep, and 3 feet if you intend to house koi. 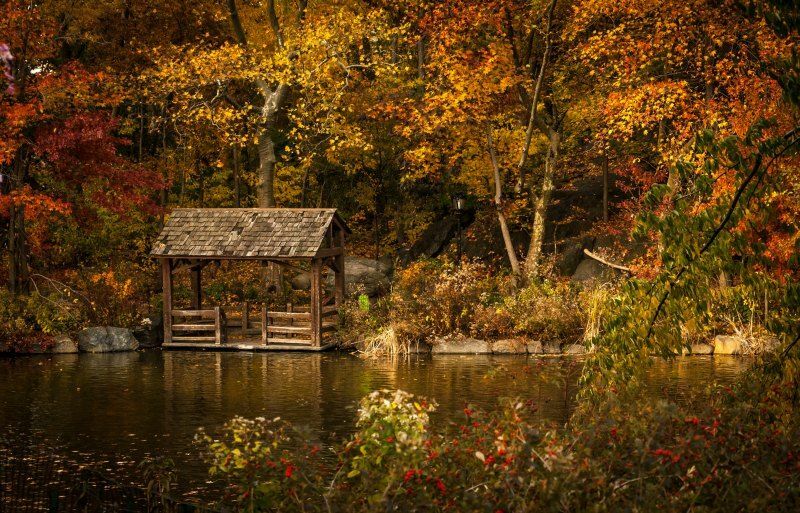 The depth of your pond should also be based on your winter climates. If you intend to winter plants and fish in the pond instead of indoors in a fish tank, you will have to allow a depth in the pond that will not freeze solid. A good depth is 24″. This will be more than enough for most water lilies and deep water aquatics to flourish in and it will be enough to “even out” heat absorption. Most water lilies do not need more than 15 inches of water over their crown to produce well. 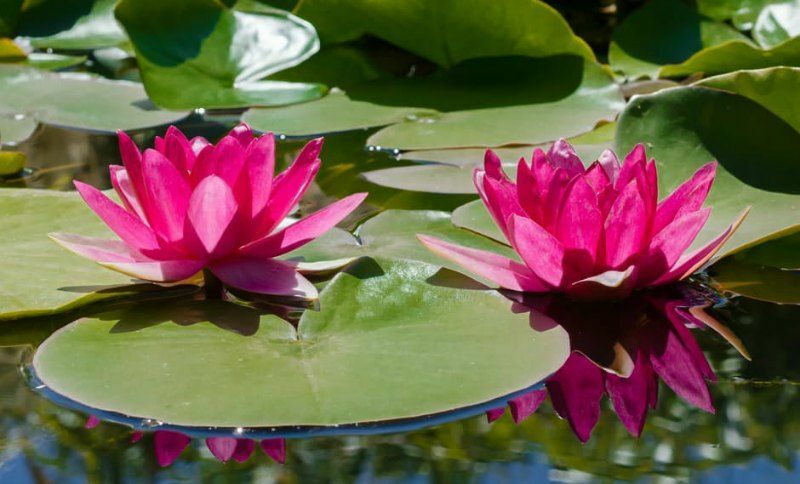 Since most lilies need full sun (at least 6 hours per day), you want to place your pond in a sunny place, but it is important to think about how much heat the water will absorb. Even in hot, tropical regions, depth is important because of the summer heat, a shallow pond will heat up quickly, robbing the water and fish of oxygen. Note that much of the light rays entering the pond area do not penetrate more than one foot below the surface. This means that the top layer of water will heat up faster than the deeper areas, but if you are adding a pump, fountain, waterfall, or stream, it is likely you will be mixing the warm water with the cooler water and heating the pond quickly. Another foot of depth will enable the pond to help cool itself as the warmer water mixes with the cooler water, allowing the water to hold oxygen better because it is cool. You can go many routes with the design of the sides of the pond, but several factors should be considered. Most people want to put a marginal shelf around the inside perimeter of the pond for their bog or marginal plants (see description below). 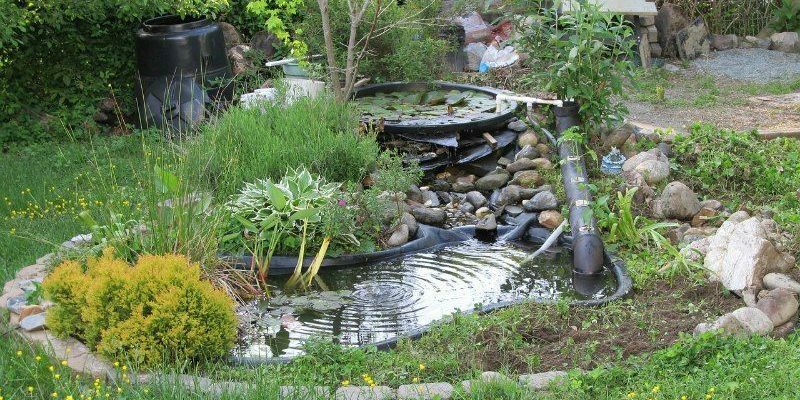 However, a pond with marginal shelves allows easy access to predators such as raccoons and opossum, giving them a stepping stone into the depths of your pond. You can create shelves within your pond, away from the sides, using concrete blocks, milk crates, and bricks if your pond is in an area where predators are likely. You can place a plant container on bricks or rocks for plants that prefer shallow depths. The slope from the pond edge to the marginal shelf can be a sheer drop. From the edge of marginal shelf to the deepest point should be about 15 – 25 degrees. Filters are generally used by the advanced ponder for Koi keeping. There are many types on the market but we prefer biological filters. If you are going to buy one shop around. Look for one that will be both effective and reasonably priced. 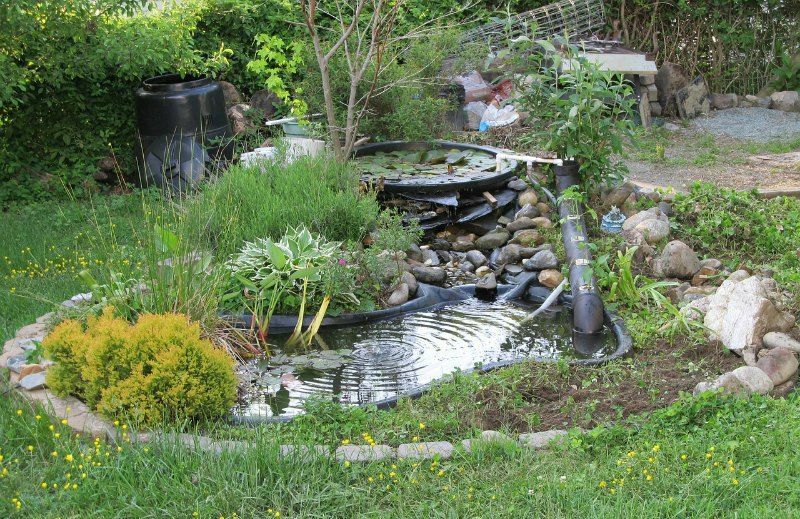 For many backyard ponds, a filter will not be required if a balance of plants can be achieved. This balance can be attained the pond is just about self-sufficient when it comes to clarity. You will have to remove debris that is blown into your pond by the wind and other decaying/dead organic matter. All of these things release nitrates which algae love and will exacerbate any clarity problems you may experience. There are a lot of options with liners for your new backyard pond. The three that we recommend are Ethylene Propylene rubber (EPDM), rigid polyethylene, and concrete. Basically, it depends on how much money you want to spend, how much work you want to do, and how long you want the pond to last. For the most part, the EPDM liner is the best. It is ultraviolet resistant, 45 mil in thickness (thick enough to keep root systems of most land plants from getting through and into the pond), and it is guaranteed for twenty years. Many pond suppliers stock it and it is important to note that a good length of the material will be heavy. If you are going to buy by mail order shop around for a company that will either give you a discount for a certain length or will not charge you freight. The next option is concrete. This is a wonderful liner but you need to be aware that lime is toxic to fish and plants. To get around this you can seal the poured, dried cement with a waterproofer or fill and then empty your new pond three times. Another remedy is to dump a couple of gallons of vinegar into the water and then test pH after about three weeks. The best pH is 7.0 but we have put fish into the water with it as little as 6.0 and as much as 8.0 without apparent ill effect. Finally, there is the pre-formed polyethylene ponds. 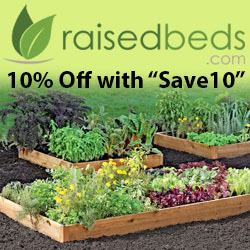 These are great for gardeners that don’t have a lot of space or a lot of time. They come in numerous sizes and shapes, from 35 gallons on up to 165 gallons (and even more). They have marginal shelves and a depth of up to 18″. If you opt for the EPDM liner then you will have an edge that must be buried and covered. You extend the life of the liner if it does not have direct sunlight on it. There are many ways to do this. One is to pour a concrete ring around the pond and then drape the free edge of the liner over it [the edge] under the outside of the ring. Another way is to simply bury the edge and cover with rocks. The rocks should “hang out” a bit to cast a shadow on the part of the liner that will be exposed from the water line to the rim. Yet another option is to just bury it in sod and plant bog plants over it. Finally, some people will find that they like a mixture of the above idea. Perhaps at the most shallow side of the pond you could plant bog plants of the liner and then at a deeper spot provide rocks right up to the edge. Plants in a pond provide beauty, balance for the pond ecosystem, oxygen for the water, and shading to inhibit the growth of algae. Algae disturbs clarity and it is the bane of all ponders. Both algae and most water plants love the sun. The water lily, for example, requires at least six hours of direct sun-light to bloom. 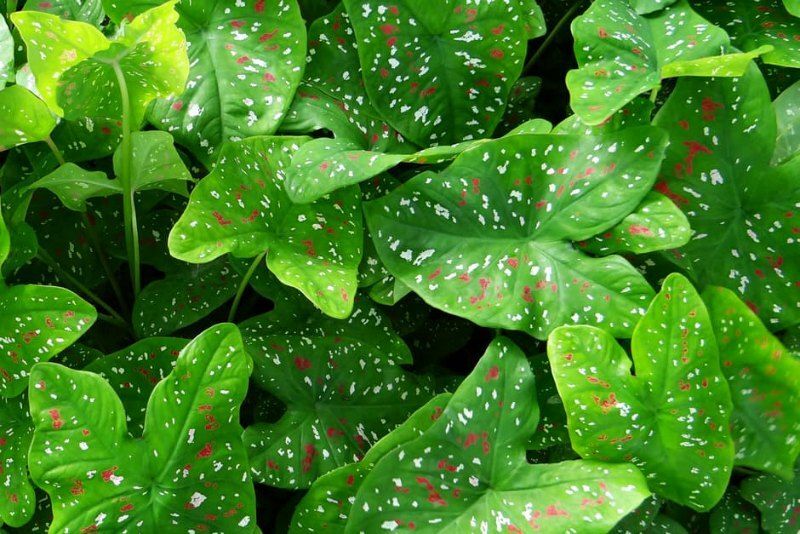 The generally accepted rule of thumb is that 60 – 70% of the water surface should be covered with plant foliage. If you plant fast growing floaters in your pond when you put your first lilies in then they will quickly cover the surface area required. As your lilies get bigger, you can remove your floaters. Almost everyone thinks of water lilies first when they think of ponds. Most are white, red, pink, yellow, and changeable (cream colored). All Hardy lily blooms open during the day and close in late afternoon (time of day varies with variety). Some tropical varieties bloom at night. Some, too, are fragrant. Two ideas to keep in mind when considering the wide range of these plants available is that they really like still water and that Hardy ones need 50 degree Fahrenheit water for sustained new growth while Tropicals need about 70 degree water. Deep water aquatics are good plants for areas of the pond that have movement of water or partial shade. Like lilies they like up to 15 inches of water over them. An example is Water Hawthorn — Aponogeton ditachyos– it has evergreen foliage and white flowers. Floaters are plants that are not rooted in soil and float on the surface. An example is Water Hyacinth, Eichanoria (this plant cannot be shipped across state lines). It is very fast growing and can take over quickly. However, because it is a tropical/tender you can rest assured that it will not choke out your pond no matter how good of a “foothold” it gets. Oxygenators/Submersibles are plants that can be rooted in soil or float around under the water. They provide oxygen and utilize many of the nutrients that algae eat. Parrot’s Feather is an example. We suggest one bunch of them for every 2 square feet. Marginal plants are planted in containers that are placed on the marginal shelf. Most do not like more than a couple of inches of water over them and their foliage will grow out of the water. Examples include the Marsh Marigold, Bog Arum, Water Iris, and Bull Rush. Finally, there are bog plants. These plants are useful for around the pond as ponds often overflow (i.e. as a result of rain). They like to have their feet damp constantly but never water-logged. Example include many standard garden thirsties: astilbe, day lily, hosta. We don’t fertilize our water garden plants more than once or twice a season as the solute created only exacerbates algae problems. Hardy lilies and deep water aquatics will withstand all but the harshest of winters assuming they were planted at the proper depth — the pads/foliage will float to the bottom and wait patiently for spring. Marginal plants should be cut down so that only a few inches remain above the surface. Floaters too will go to the bottom. Tropical varieties of all types must be brought in. We suggest placing them in a cool, dark place and monitor them so that they never dry out. 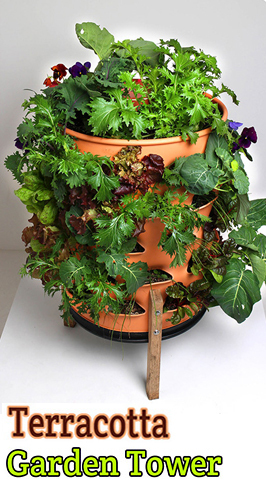 Remove all of the dead organic matter you can reach — this includes leaves that have blown in and spent flower buds. In areas where ice is a probability or certainty, this is especially important as gasses released as this matter decays will build up under the ice and kill fish. It is a good idea, too, to place a small pump in the water so that one area of the pond will have some gas-exchange. Alphabetical listing of pond clubs. Find a pond club in your area to join. Alphabetical listing of water garden clubs. Find a water garden club in your area to join. Find quality manufacturers of pond and water garden liners. Pond Heaters – find information and resources about pond heaters. Listings for locating pond pumps and suppliers of pond pumping supplies. Resources and information from suppliers and distributors of pond filters. The relaxing beauty of pond fountains can be yours with help from these sites. Directory of suppliers and information needed to create a pondless waterfall. 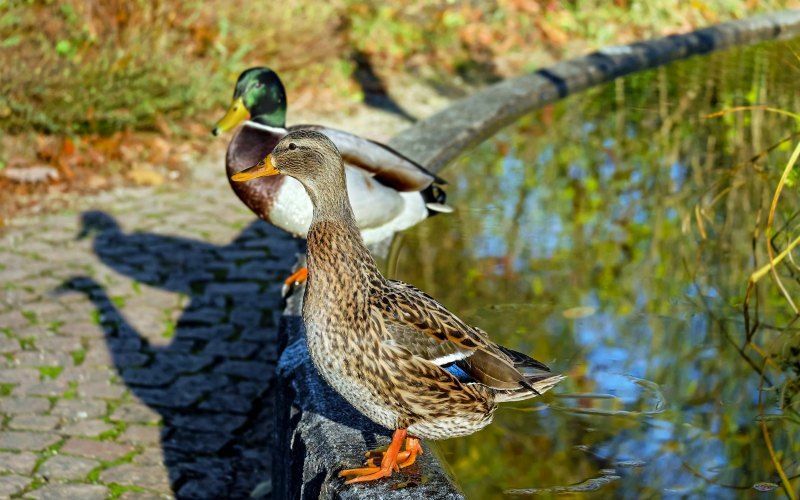 Great resources and listings on information for creating your own backyard pond. 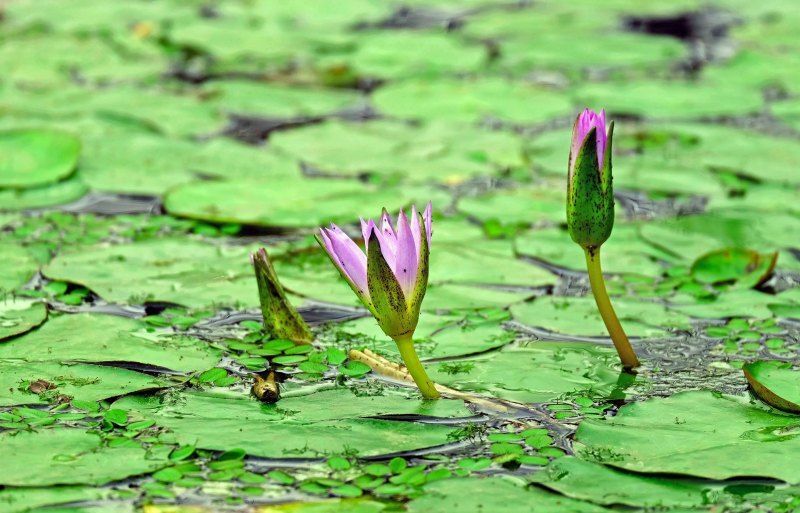 Go green with great ideas from these resources on pond plants. Keep it simple and start it all in one day be getting one of these popular pond kits. Top resources and listings of helpful pond waterfall providers. Water Garden Supplies – wonderful online resources for all your water garden supplies. The beauty of a bridge can add to the enjoyment of your fish pond. Pond Skimmers -keep your pond free of junk with help from these suppliers and distributors of pond skimmers. Listing pond designers and pond design tools and resources. Popular listings for all preformed pond liners. Resources and information on proper pond and water garden aeration. Pond Lights -light your pond up at night with help from these great suppliers and distributors of pond lights. Listing suppliers and information resources on pond waterfall pumps. Keep your pond clean and healthy with these helpful resources on pond vacuums.